What is Sheng Zhen Gong? Sheng Zhen Gong doesn’t just improve you in body, mind and spirit. It teaches you about life and your connection to the universe. Here is a re-post of some of my initial learnings, when I started down the path to become a certified Sheng Zhen teacher. 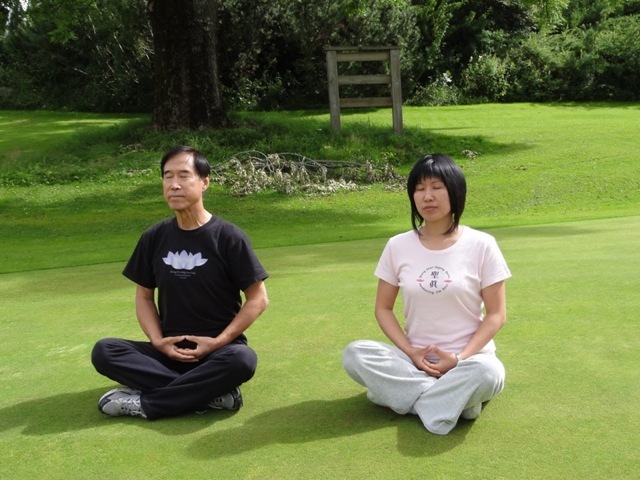 Before my first Sheng Zhen Teacher Training in May of 2015, I had never really meditated. . . . Click image to read more. I teach the practice of Sheng Zhen. But, why do we call it practice? What is it practice for? We recognize truth when we hear it, because we aren’t hearing it for the first time. Rather, we are remembering what we already knew, but had forgotten. Click image to read more . .
Union of Three Hearts is one of the foundation meditations for the practice of Sheng Zhen. Over the summer while practicing this mediation, I gained insights into its meaning. Click to read more . . In the times of great change, I take power from a quote from Master Li’s book, Sheng Zhen Wuji Yuan Gong, A Return to Oneness. It helps me find balance and resiliency. - read more . . .